Prescription fraud is both an act of fraud and a drug offense. Many prescription drugs, such as oxycodone and morphine, are tightly regulated because of their addictiveness and propensity to be abused by users. Though they are legal in the hands of pharmacies, doctors and nurses administering them to patients, and patients with legitimate prescriptions, possession of these substances is a criminal offense outside these settings. There are a few incentives to commit prescription fraud. An individual might attempt to obtain these drugs illegally because he or she is suffering from an addiction to them. One might also obtain these drugs in order to sell them for a profit. Individuals in certain positions, those with legal access to these drugs, might also commit acts of fraud in order to bill insurance companies for them or feed their own addictions. Below are a few examples of how individuals in certain positions could commit prescription fraud. Issuing a prescription outside his or her usual practice or the standard of care for a patient’s condition. Prescription fraud is grounds for disciplinary action, which can lead to a physician’s medical license being revoked by the Florida Board of Medicine. Healthcare professionals other than doctors, such as nurses and pharmacists, can commit prescription fraud in many of the same ways that doctors and laypeople can commit it. Submitting fraudulent prescriptions can be especially easy for individuals in these positions because they have access to script pads. Forging a doctor’s signature on a script, calling in a prescription without authorization to do so, and impersonating a doctor are all ways healthcare professionals can commit prescription fraud. 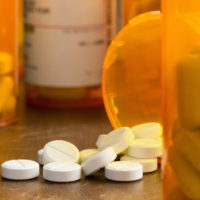 For a layperson, prescription fraud generally involves attempts to obtain drugs for his or her own use or for the purpose of selling or distributing them to another. Physicians are only permitted to prescribe a specific amount of certain types of drug to prevent patients from misusing the drugs. To get around this limit, a patient might “doctor shop,” or visit multiple doctors in order to obtain more than one prescription for his or her drug of choice. In order to obtain drugs from a pharmacy, a layperson might also impersonate a doctor and submit a fraudulent prescription. Buying prescription drugs illegally, such as from the internet or a friend or relative, can also be an act of prescription fraud. Reporting drugs as stolen in order to refill a prescription is another type of prescription fraud a layperson can commit. Sometimes, legitimate possession and use of a prescription drug is charged as an act of prescription fraud. If you are facing this type of charge, contact our team of experienced Miami criminal defense attorneys at Ratzan & Faccidomo, LLC today to start working on your case’s defense strategy with us.